Three years ago, about 200 people gathered in San Francisco to help raise awareness about the dearth of female creative leadership in the advertising industry. The 3% Conference — which takes its name from the number of female creative directors at the time of its launch — held its fourth annual meeting last week, this time drawing nearly 800 attendees. 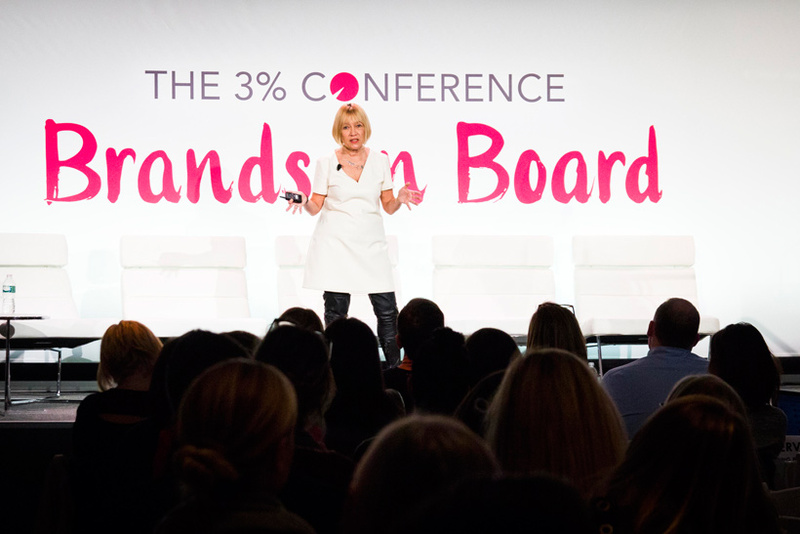 Staged for the first time in New York City, the two day-event offered strong evidence that the 3% Conference has become synonymous with the gender diversity movement in adland, and is growing into a formidable force of action. 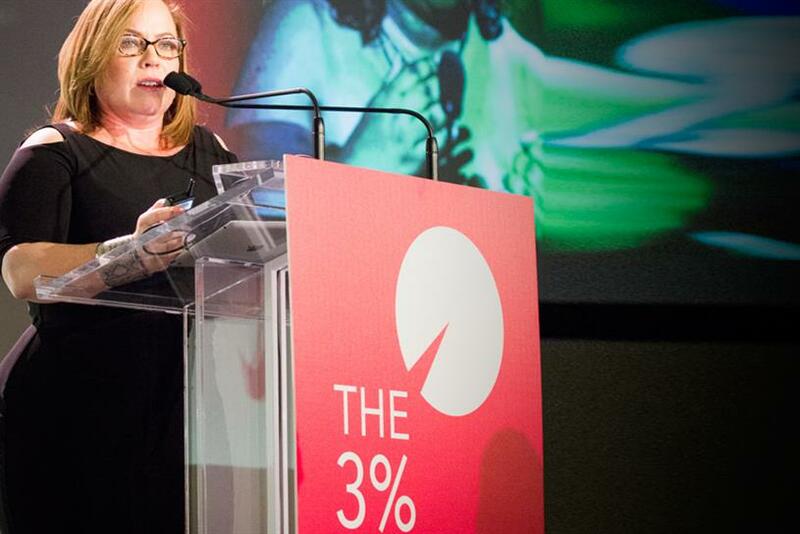 "We are past the point of no return," said Kat Gordon, founder of the 3% Conference, in her welcoming speech. "Every year we’ve been rolling the stone a little bit farther up the hill, and this is the year I can tell you with confidence … this is getting better." While the male majority in creative leadership positions still exists, the group’s analysis indicates that the industry is making some progress, albeit slowly. Last year, the 3% Conference released research that showed the number of female creative directors has grown to 11%, more than a three-fold increase, but still far from the 50% ideal. Put their money where their mouths are. Michael Roth, chairman and CEO of IPG, speaking on a "Manbassadors" panel, said he’s seen the greatest change occur when compensation is tied to diversity and inclusion goals. When he first arrived at IPG as a board member in 2002, Roth said he was "shocked" to see all white men at his first meeting with company leaders. "How can we be in advertising and communications when we don't represent the marketplace or the universe?" he recalled thinking. "This is ridiculous." When he began investigating, asking agencies what they were doing about diversity, he said he found that "the answer was nothing." They spoke about belonging to various organizations, but not doing much else. "I’m a realist and I like to get things done," he said. "So I figured the only way to get people to pay attention was to hit them where they pay attention, which is their pocketbooks." Every quarterly agency review now includes a talent review that includes a section on diversity and inclusion, he explained. "Frankly, it’s worked," he said. The idea that diversity is good for business was echoed throughout the conference, but few examples were as potent as Roth saying he attributes the holding company’s financial achievements in part to its increasing diversity. 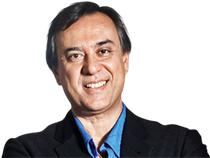 Fifty-four percent of executives, non-executives and managers in the company are now female, he said. "I don’t think it’s by accident that we are performing. Recognizing inclusion and diversity is a competitive advantage." "Change still isn’t happening fast enough," said Cindy Gallop in her rousing closing keynote, titled "Awareness, Microactions, Accelerants, Results." "Things change when we make them change," she said. "You have the opportunity to go out there and change the future of our industry and change your own future simultaneously. Please do it." Gallop, founder and chief executive of IfWeRanTheWorld and MakeLoveNotPorn (and former chair of BBH New York), gave attendees several methods to instill change from the bottom up. Among them were "bulk buy," hiring enough women to achieve a critical mass so they feel confident speaking up and making real change within the organization (three is the minimum number, according to a study she cited); "change the optics," ensuring your company includes women and people of color in public images and publicity ("You can’t be what you can’t see"); and refuse to accept "there weren’t any qualified female candidates" as an excuse for hiring another white man. "In our industry, men are hired and promoted on potential, and women are hired and promoted on proof," she said. Each and every hiring executive, she said, should ask recruiters and HR managers to see every non-white female executive creative director candidate who has the potential to do the job. "You’d be amazed at the utterly brilliant, non-white talent that would suddenly be unearthed and visible," she said. "The ultimate, the rarest unicorn in our industry is the black female ECD." It may seem obvious, but the only way to shift from intent to action is to take a cold hard look at your agency and do the work required. To help agencies do just that, the 3% organization introduced an agency certification program called "3% Certified." "These last four years have been about building community and awareness, but at some point the agencies know what they have to do," said Gordon after the conference. "They just have to do it, and someone has to hold their feet to the fire." Participation involves an independent audit to analyze an agency’s talent, salaries, culture and community. The group then provides benchmarks, and once those goals are achieved, an agency becomes certified. "By earning that stamp you’re sending the message, ‘this is an agency that really honors and respects women,’" said Lisen Stromberg, founder and CEO of Accelerating Women, who introduced the initiative with Erin Carpenter, president of TWTW Companies. "That is a talent acquisition tool like there is none." The 3% organization’s efforts, including holding its first conference in London in June, has also inspired the IPA (the UK equivalent of the 4A’s), to conduct a gender audit of member agencies. Tom Knox, president of the group, told New York conference attendees in a video address, "It won’t show us in perfect light because there is a lot of work to be done, but what it will do is motivate agencies to get up to the table and show us where we are now and give us a target." For years the organization has been telling the industry that "women leaders matter." Now, a new study conducted by the group, "What Women Really Want," gives some proof, showing the difference female leadership can make in the daily lives of female employees. The study, which polled 328 members of the 3% community, found that what women say they want most from their agencies — proper pay, job satisfaction, and positive, inclusive work cultures — comes more readily at agencies with greater numbers of female leaders. The research showed that in agencies where at least 25% of the creative directors are female, women experienced less discrimination, made more money and felt plum projects where distributed more evenly — all factors that impact talent retention. More than 80% of women at those agencies said they had never experienced discrimination, compared to the 66% at agencies where there were fewer female leaders. Sixty-four percent said they made more than $100,000 a year, compared to 54% at shops with fewer women, and more than 70% said desirable projects were fairly assigned, compared to 47% at companies where female creative directors made up less than a quarter of creative leadership. Overall, the study found that 56% of respondents felt they were making good money ($100,000 a year or more), and 44% like the work they do, but 30% reported they had no female leadership at the top and 60% said that their agencies were below the current 3% standard of 11% female creative leadership. Create new avenues for mothers to return to work. Getting back to work after an extended absence can be a daunting and often-unattainable challenge, but agencies are experimenting with new work structures and re-entry programs to help. The 3% organization introduced "3%REturnships," a 10-week paid internship-like program that gives returning talent a chance to sharpen their skills and re-enter the workforce. Led by Hélène Paulette Côté, creative director of Red Cliff Marketing, the pilot program is being hosted by SapientNitro in Toronto and New York in partnership with General Assembly. And on a panel titled "We Tried That," Patricia Korth-McDonnell, partner and managing director of Huge on the West Coast, told the story of Jessica Bauer-Greene, a new mom who became the agency’s first part-time creative director. The agency now has three part-time female creative directors and has also created a parental leave program for both mothers and fathers. "It’s been different for everyone," said Korth-McDonnell. "A lot of what we are learning is that you need flexibility, you need more time at home, less hours, but what shape that takes for each individual mom or dad has to be a little different."